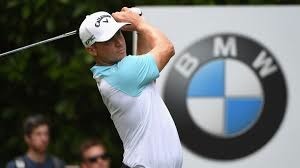 BMW PGA Championship Wentworth, surprise course record hit by Swedish Golf Star, Alex Noren. Wentworth, Swede Alex Noren at BMW PGA Wentworth Golf Championship. Surprise winner Sunday May 28th. Alex Noren Swedish golf player hits course record to win BMW PGA Championship at Wentworth. A truly exciting golf exploit.